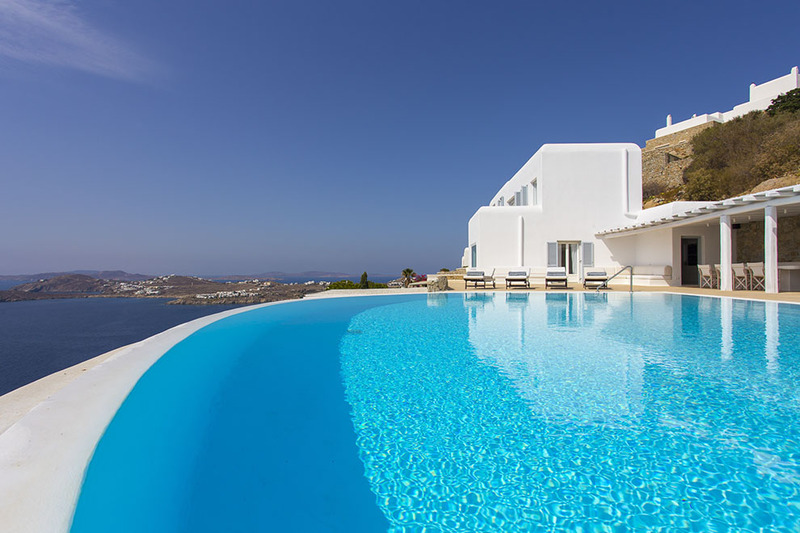 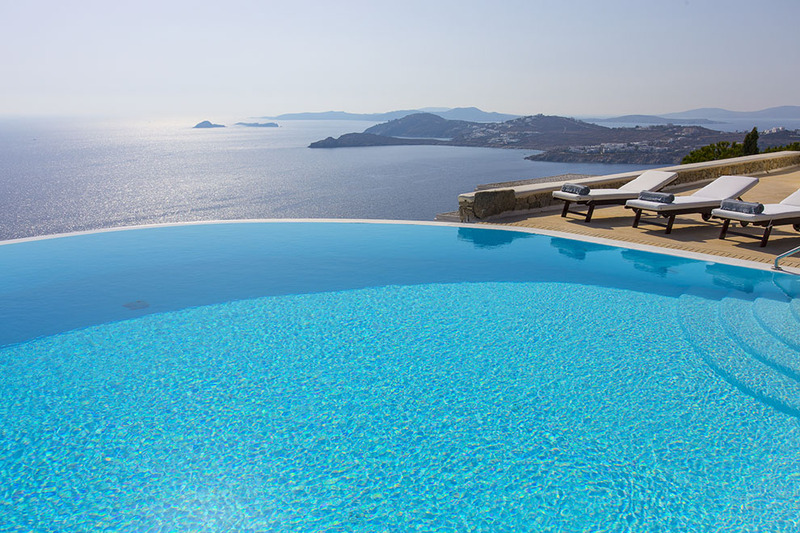 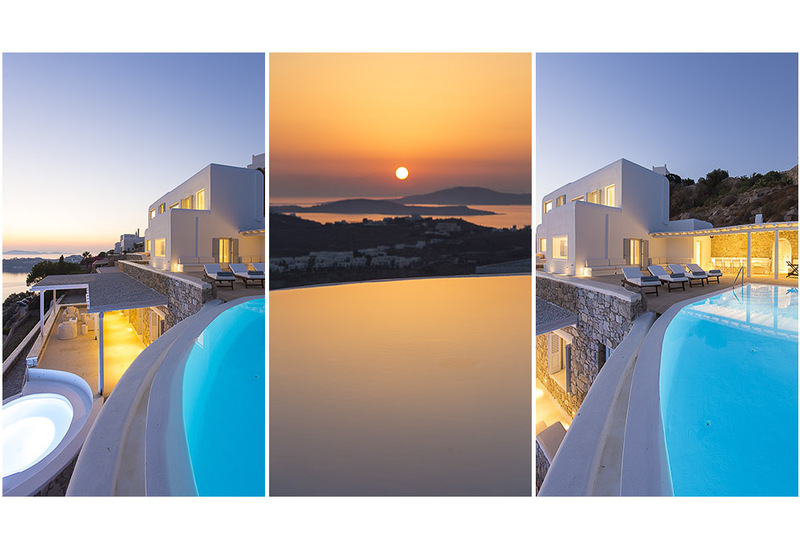 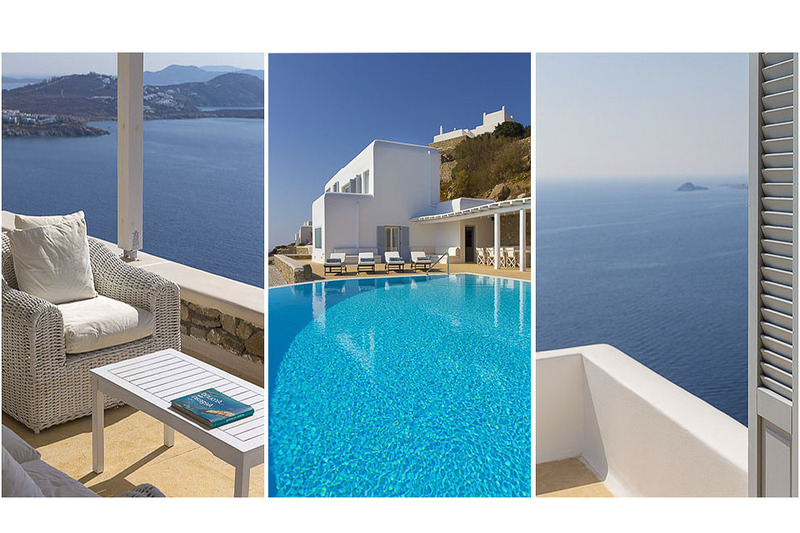 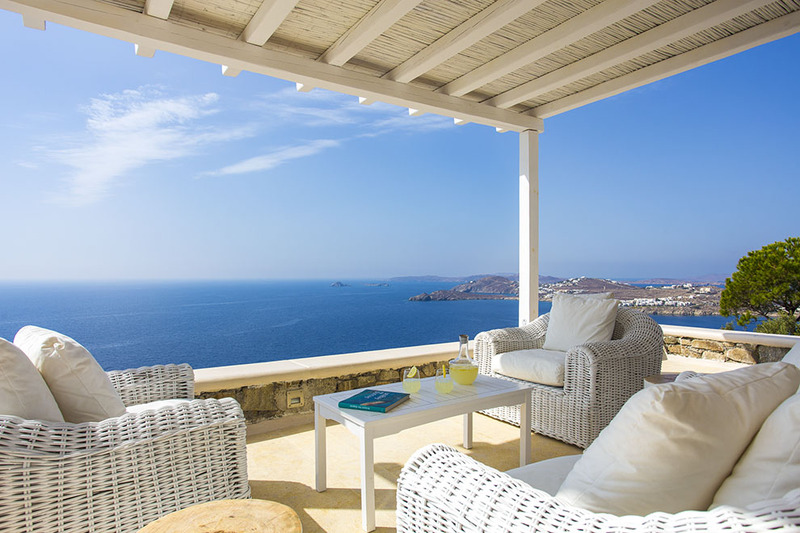 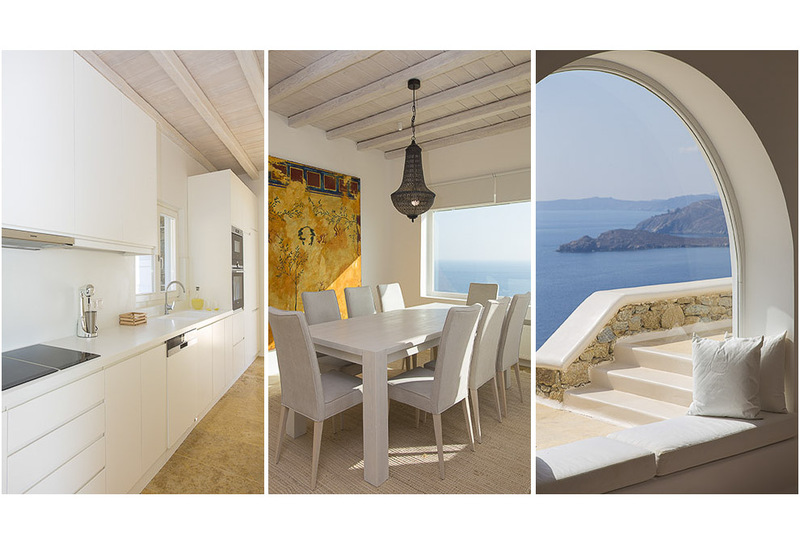 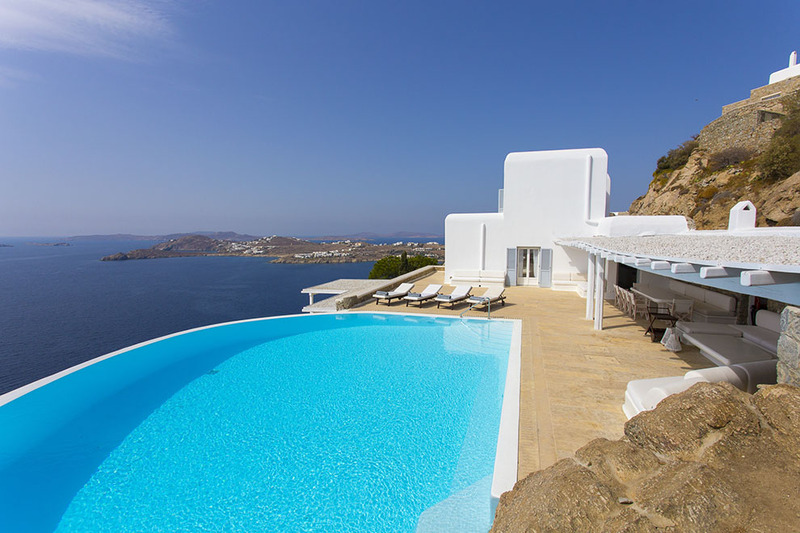 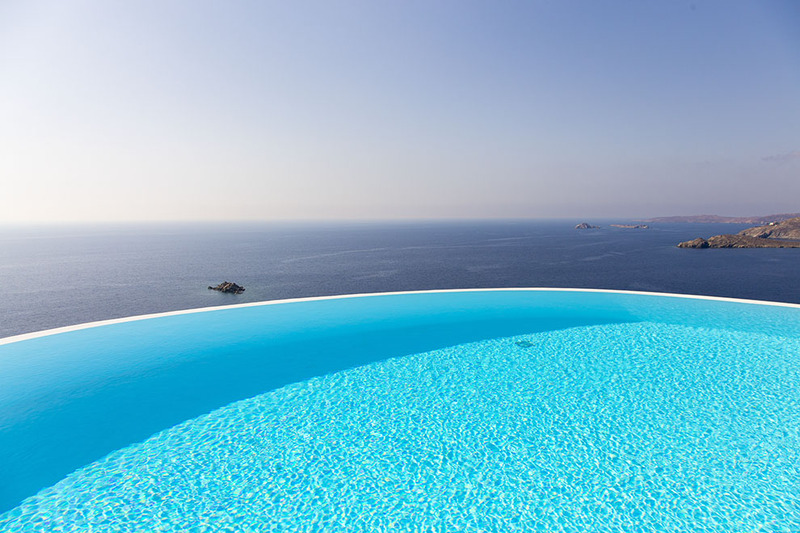 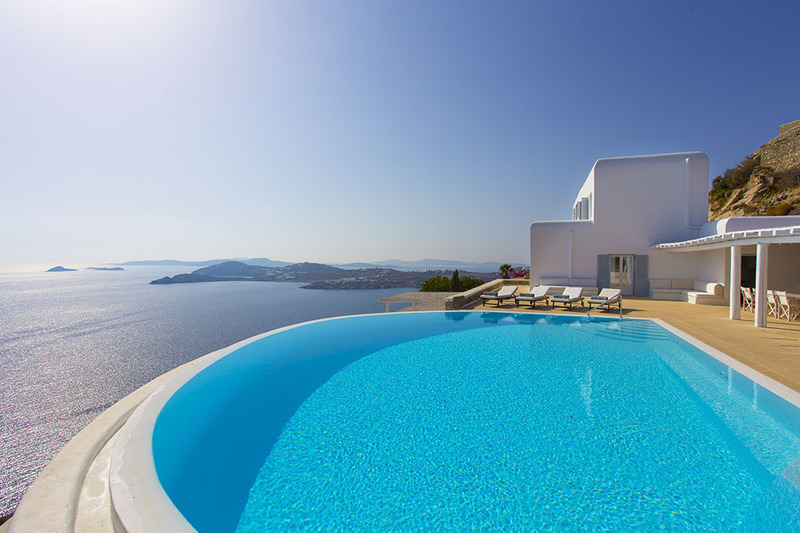 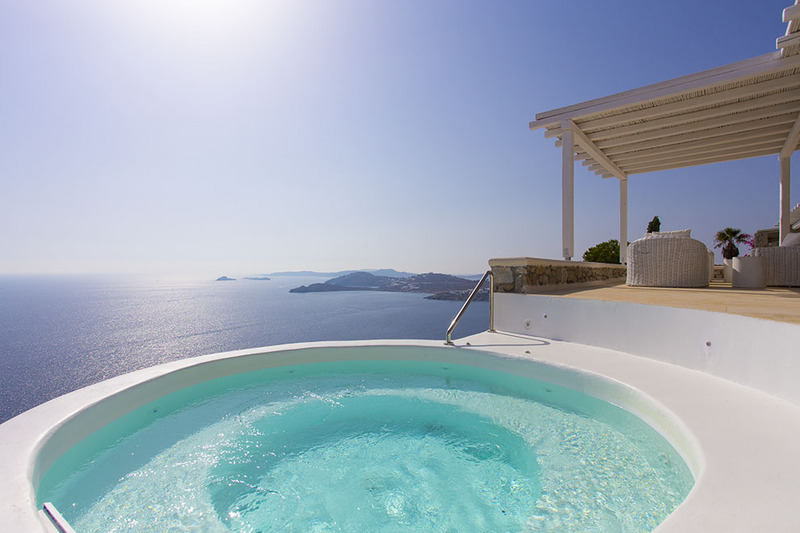 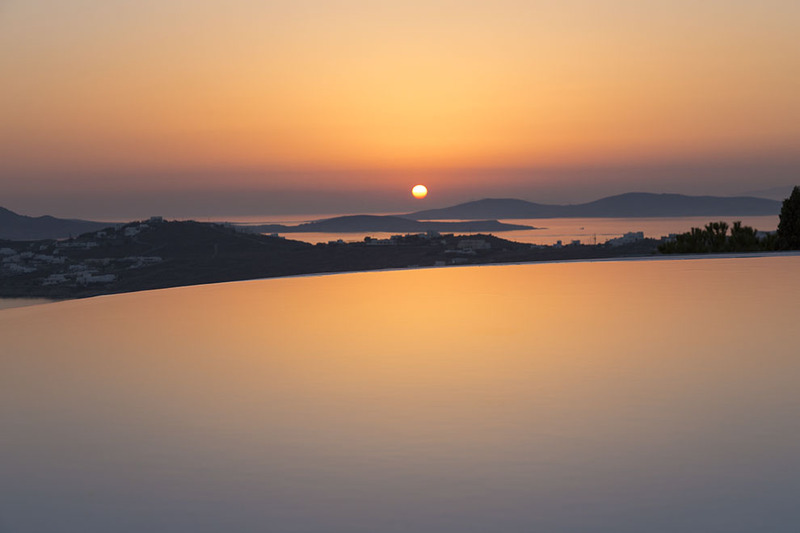 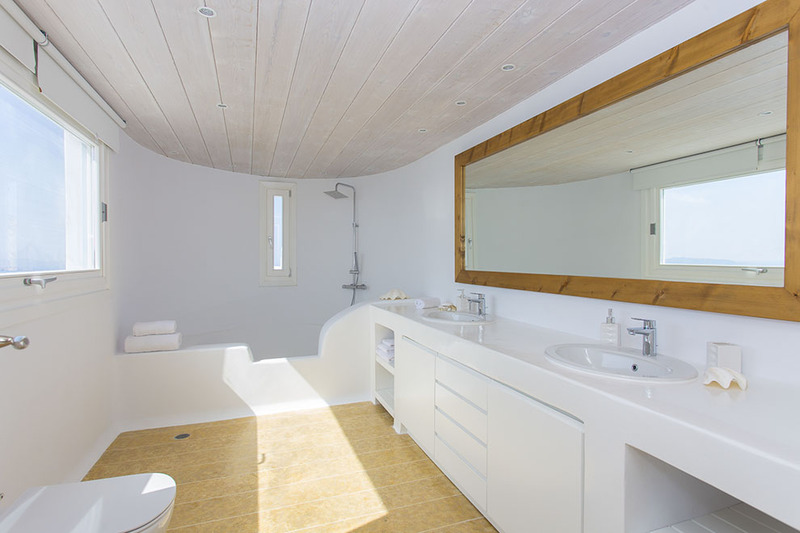 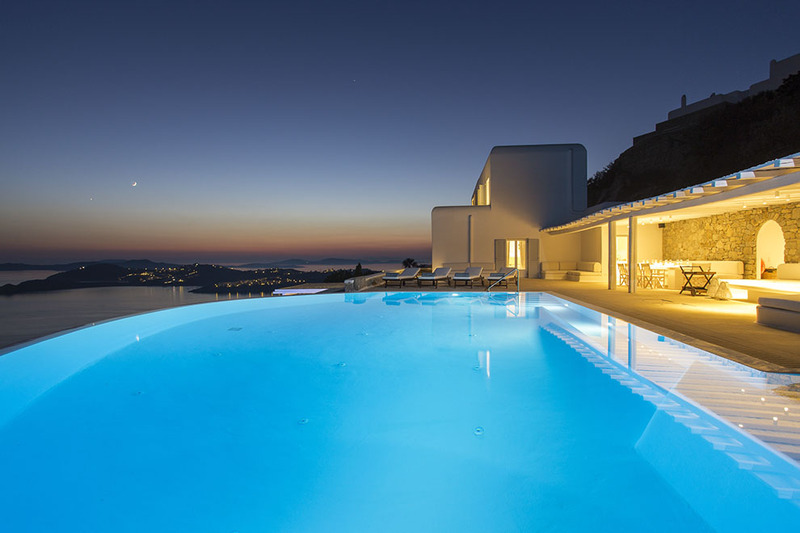 The spectacular brand new villa “Royal Blue“ is located at a privileged spot overlooking the picturesque bay of Saint Lazaros and enjoys breathtaking views across the blue waters of the Aegean, offering absolute privacy and comfort. 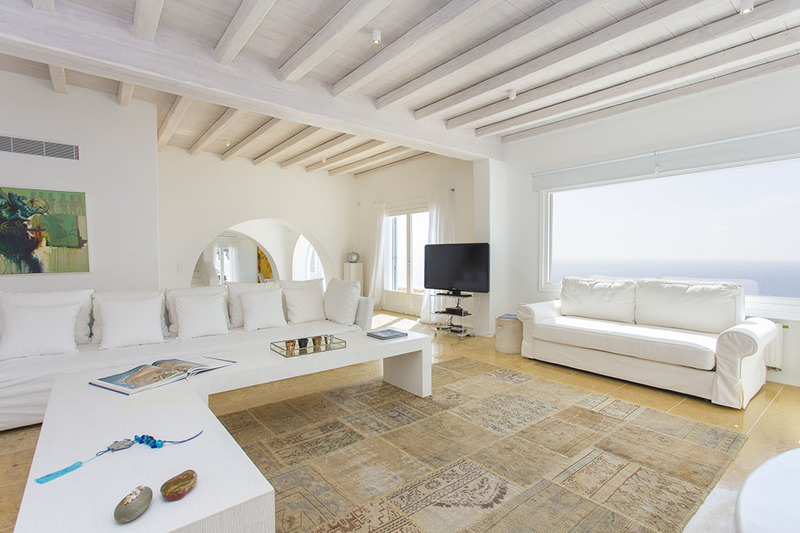 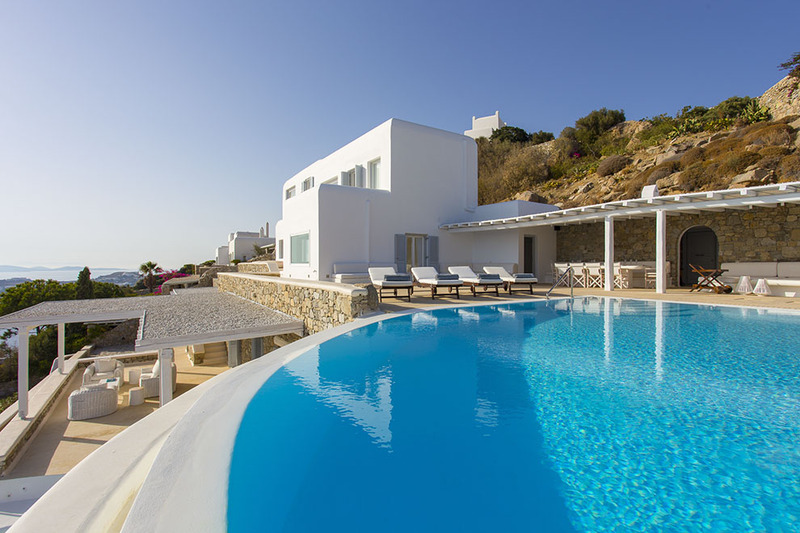 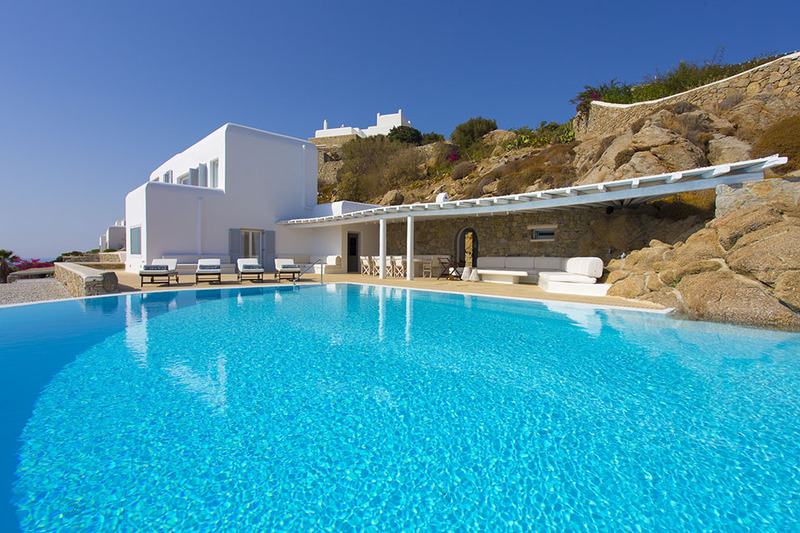 This luxury Mykonos villa is in very close proximity to the most renowned beaches of the island, such as Psarou beach, Ornos and also to cosmopolitan Mykonos town. 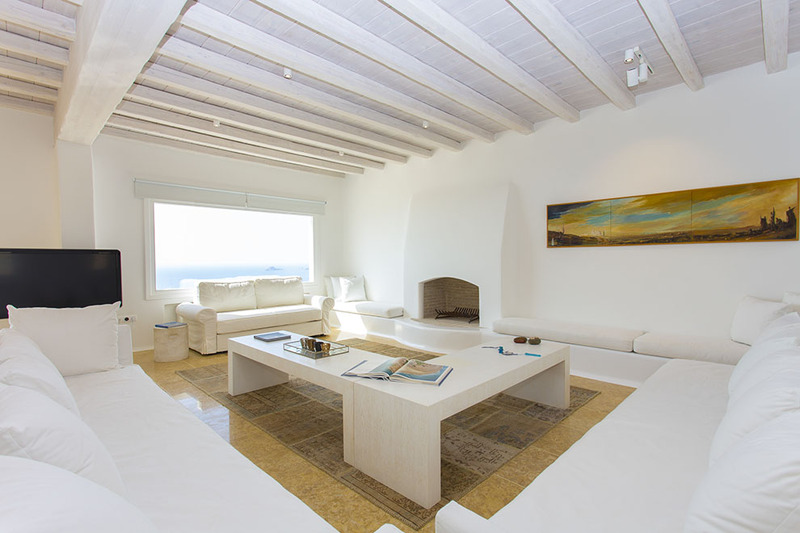 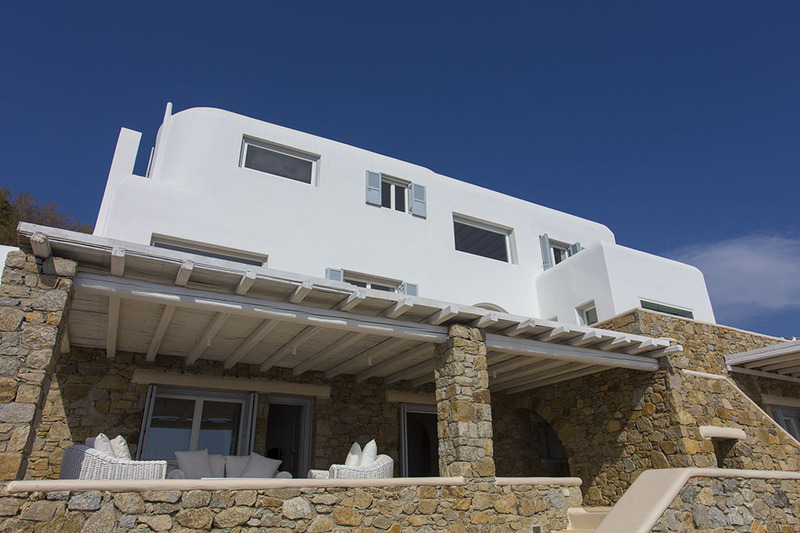 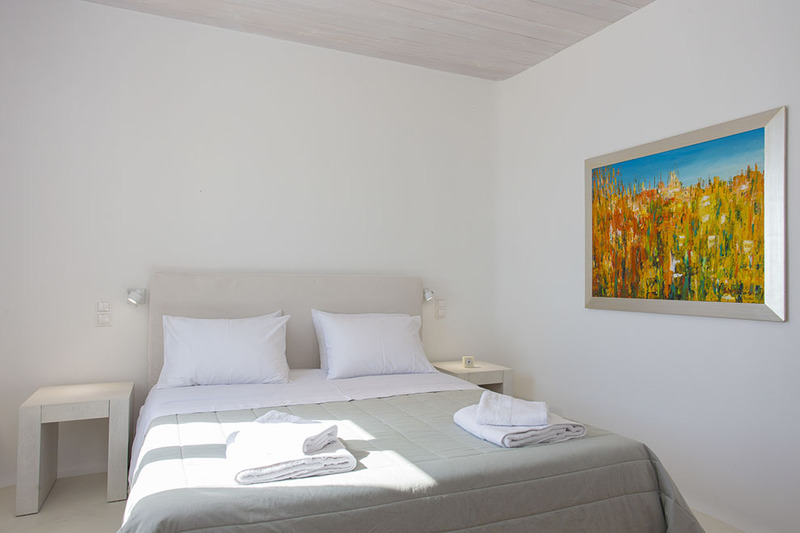 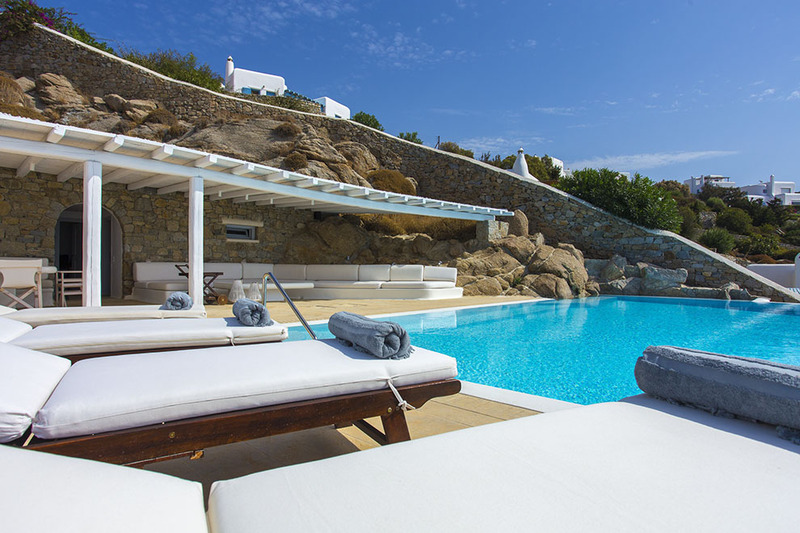 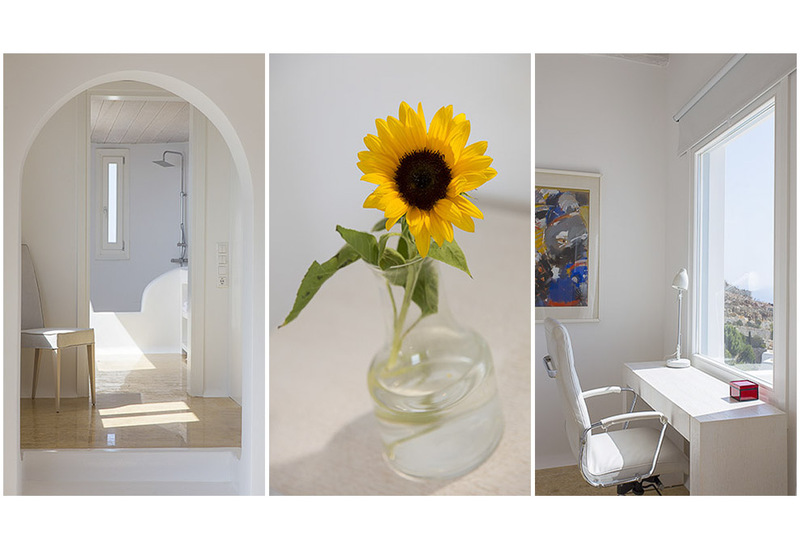 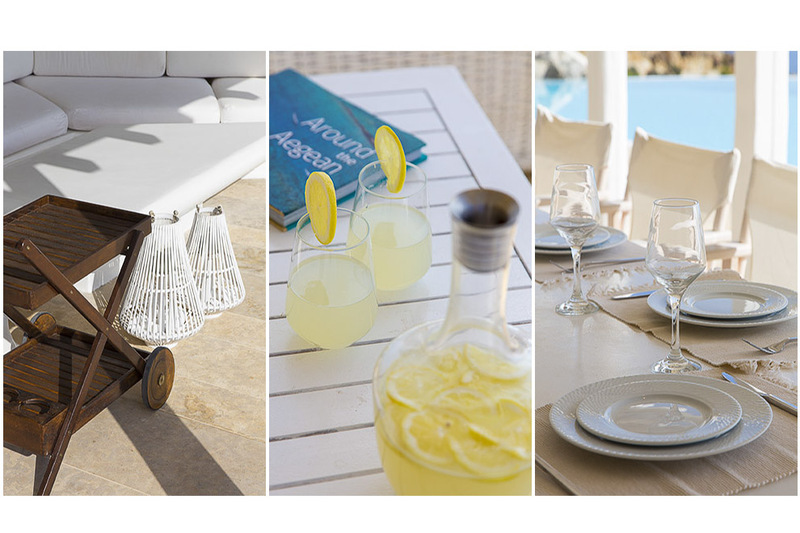 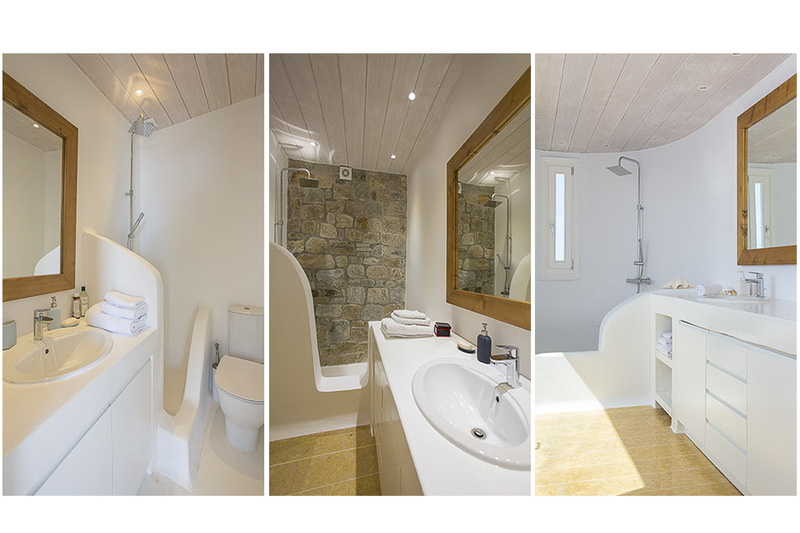 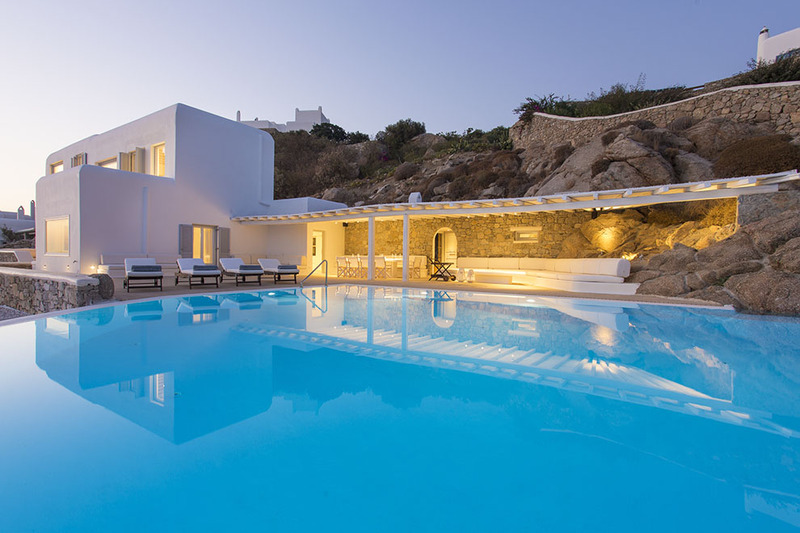 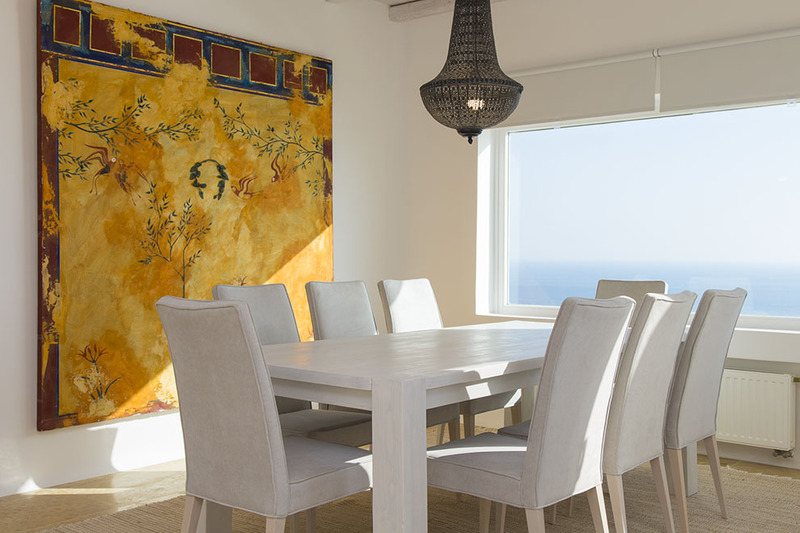 The grounds of this villa in Mykonos are very spacious and carefully designed and decorated. 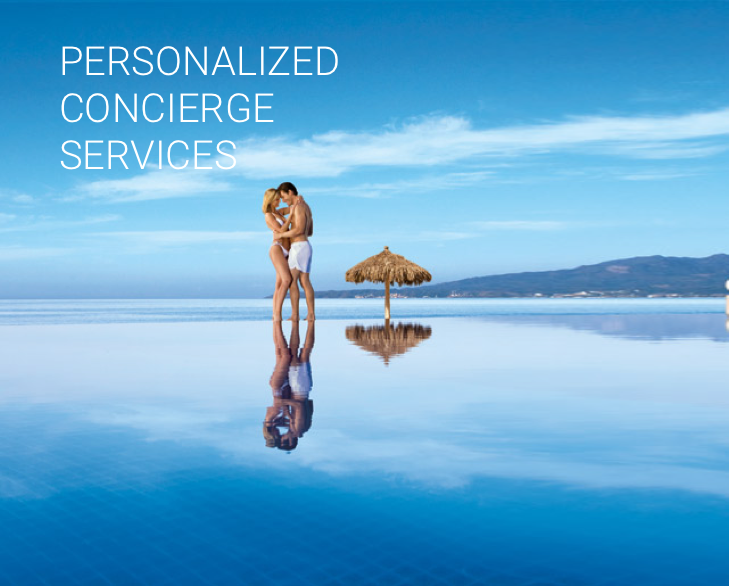 The extra-large infinity pool dominates the outdoor area with its edge seeming to fade into the turquoise waters of the sea, catching every guest’s attention. 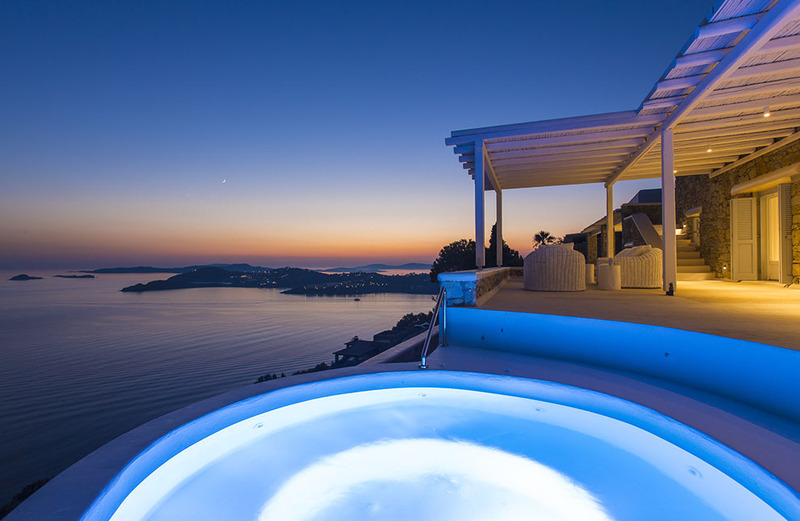 The pergola-covered seating and dining area, along with the private outdoor Jacuzzi are suitable for amazing days and nights worth to live. 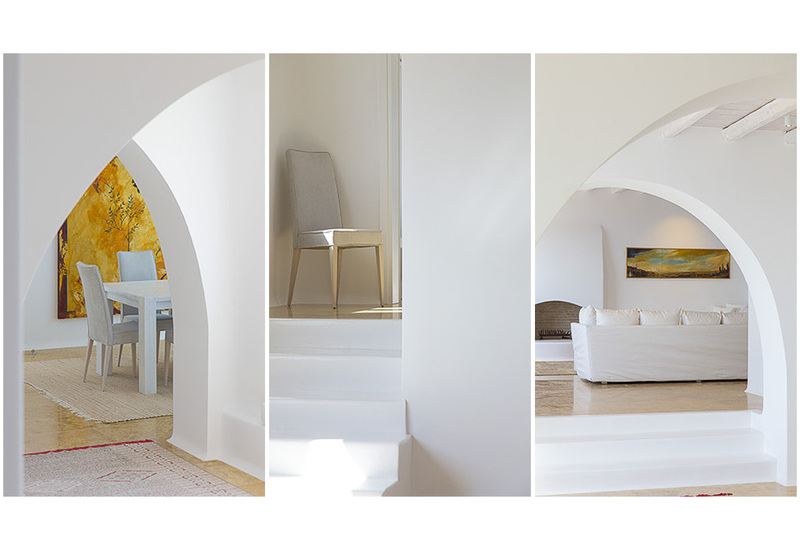 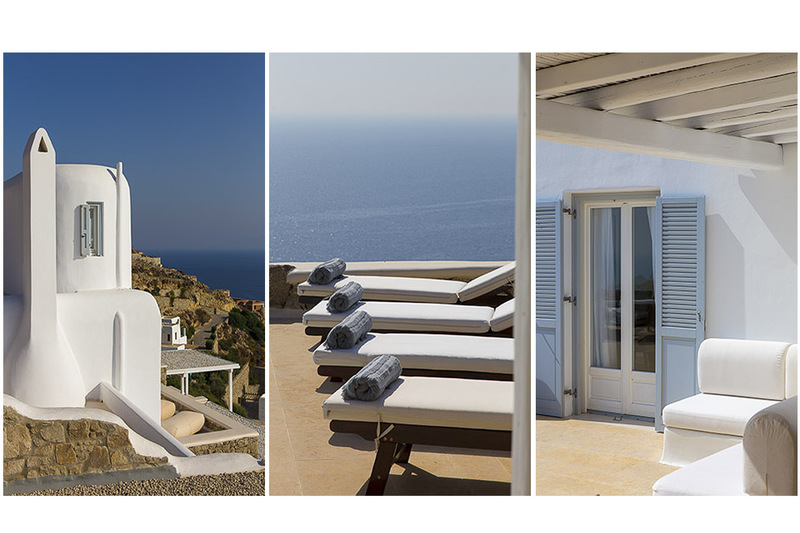 The minimalistic indoor decoration combined with the authentic Cycladic style promises a stylish and chic way of living. 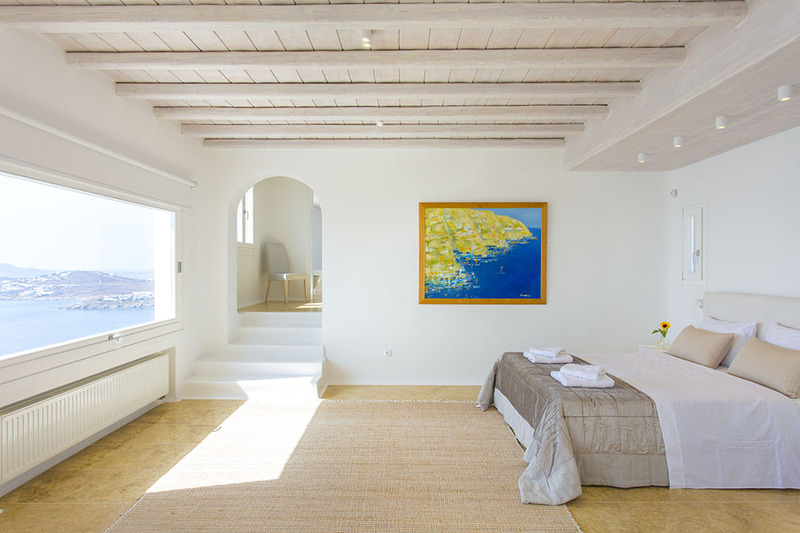 Villa “Royal Blue“ is consisted of three levels: the ground level where a large cozy living room, a dining area, a fully-equipped kitchen and an en-suite bedroom are, the upper where an en-suite master bedroom is and the lower level where four en-suite bedrooms and one with single bed are. 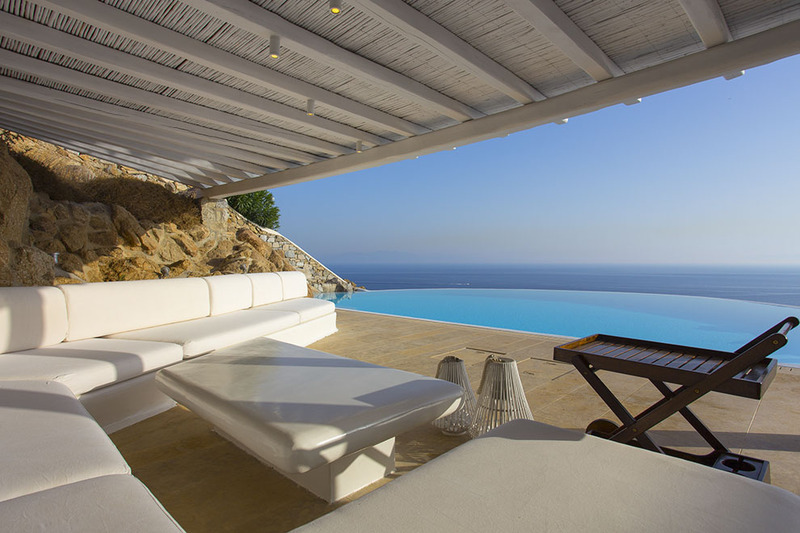 Villa “Royal Blue“ assures that it can meet your highest expectations and that can offer incomparable luxury, coziness and warm hospitality to the most demanding groups.